One of the wonders uncovered in the age of the Internet is that what seems like the most niche of interests can have a surprisingly large audience. You might once have thought that an extensive study of human interface design in electronic instruments presented as a glossy picture book was your own singular fetish. But no, look around the room; welcome, we’re like you. 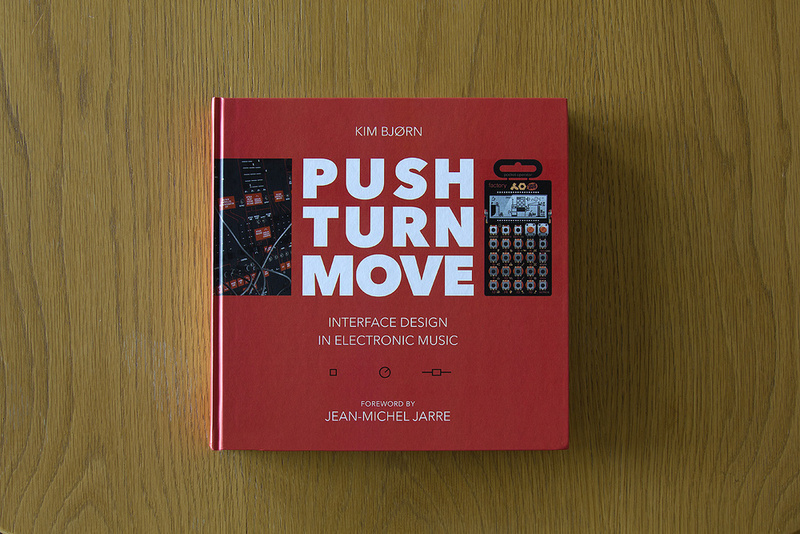 Push Turn Move is both a coffee-table book for synth gear enthusiasts and a text book for music tech industrial designers. It’s the creation of Denmark-based Kim Bjørn, who teaches and writes primarily about design. He’s also a musician, and judging by the rich collection of interviews in the book, is very well connected in the world of electronic music and music technology. The text and interviews are all written by Kim, and impeccably edited by heavy hitters from the music tech press. The photography is not original, leaning heavily on manufacturer press shots, and the book mostly uses prosaic pictures that support the various chapter topics. It still looks gorgeous, though, with engaging layouts and colour-matched groups of pictures. It would have been an easy choice to go with lots of moodily lit angles and narrow field depths, but that wouldn’t have served the book’s concept, and in any case these devices don’t need any cosmetic help. In product reviews we often spend a lot of time expounding a device’s sound and features, then offer some thoughts about usability under the over-stretched heading ‘workflow’. Push Turn Move focuses squarely on the latter, and takes the time to explore and define numerous specifics that constitute this nebulous term. This can be as temporal as the different ways to access menus and adjust parameters, or as philosophical as high-level considerations about how a user interacts with and learns a device. The book hits the ground running with a discussion of user-centric design principles, followed by some interesting ideas about how your experience of using an instrument is a vector of your experience and expertise versus the complexity of the device. You know that timeless, heightened state you can slip into when you’re playing an instrument or doing some other focused task effortlessly. It’s what athletes call Flow, and is found on the x=y line on the graph of difficulty versus skill. A whole section is devoted to sound and music and the different ways it can be represented and interacted with. Then the physical nitty-gritty of control is explored, from knobs and sliders to pads and touch displays. Layout and overall design gets a chunky section, then the last section devotes chapters to all the different families of gear that we use: DAWs, sequencers, grooveboxes, grid controllers, keyboard, modulars and semi-modulars, DJ controllers, even coding and scripting environments like Max and Supercollider. In short, Push Turn Move is packed; this is not one of those lightweight books or expensive magazine specials that publishers rush out to try to cash in on a trend. There’s no filler here. I’d perhaps have liked to see more about how people approach making music on these devices (and combinations of them), but this could easily be another book, and the new wave of music tech YouTubers are doing great work in this area. There’s only a handful of academic references supporting the design theory; instead, and rather more compellingly, around 40 long-form interviews with users and manufacturers are interspersed throughout the book. There are electronic musicians of the calibre of Suzanne Ciani, Kaitlyn Aurelia-Smith and Jordan Rudess, not to mention a foreword by Jean-Michel Jarre. Then there are perspectives from both company leaders and professional designers from most of the big players: Korg, NI, Arturia, Elektron, Teenage Engineering, Moog, Novation, Propellerheads and many more. It’s fun to learn from Ableton founder Gerhard Behles that when building Live 1.0 there was “no consideration for how others would perceive or understand any of this. There was no research or usability testing”. They simply re-imagined how a DAW could work based on their own way of making music, and found a huge audience waiting for the same thing. In contrast, Propellerheads virtualised the existing hardware studio world in Reason, and were later “worried that the hardware metaphor would become invalid and get rejected by the users” (CEO Ernst Nathorst-Böös), only to find that in fact hardware-style interfaces persist and flourish, providing a fun exploratory aspect to composition and production rather than simply a means to some pre-meditated end. This brings us to the rise of Eurorack, and Kim talks with, among others, Mutable Instruments and Make Noise. Push Turn Move is bang up to date with the latest devices and controllers, so runs the risk of looking ‘of its time’ in a few years. Perhaps with this in mind, the book culminates with both a historical timeline of electronic music gear and a look forward toward emerging VR and gestural interfaces (ironically I’ll bet these will be the first to look dated in a few years). In any case, while the technology evolves, the design and human interface concepts should stand the test of time, at least until the era of body modification and implants. 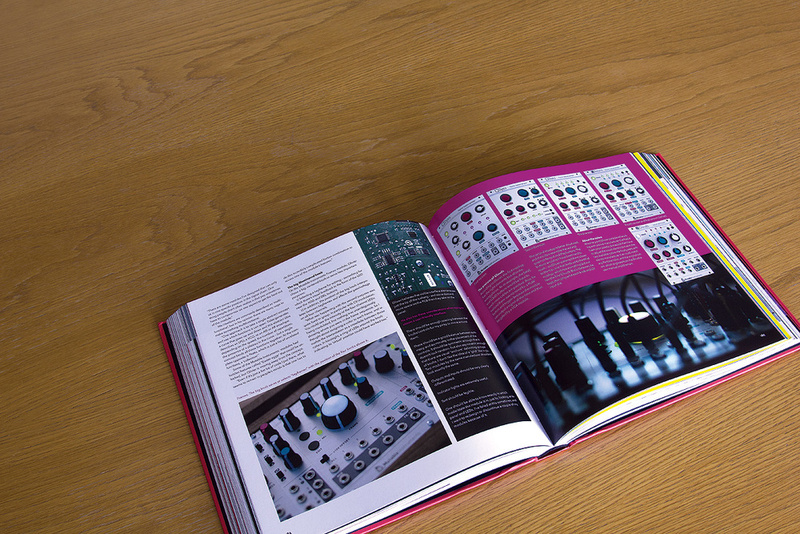 If you’d prefer a book purely devoted to modular synths and synthesis, then you may want to wait for the follow-up tome, Patch & Tweak, which hit its Kickstarter target in May and is now in the works. 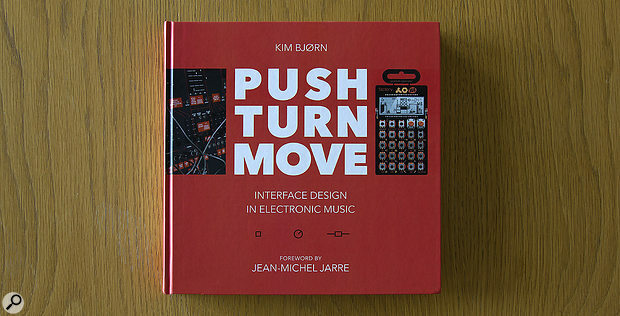 For me, though, as an obsessive follower of controllers and hardware workstations as well as synths, Push Turn Move is a joy.